Here is a super simple, super rich, and super delicious recipe that's perfect for these hot summer barbecue days. 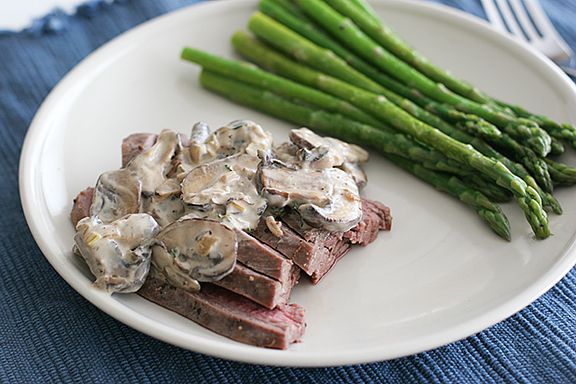 This sauce takes 2 minutes to make and turns an ordinary steak or chop into something to die for. Saute the mushrooms in the butter for a couple of minutes until they are soft and starting to brown. 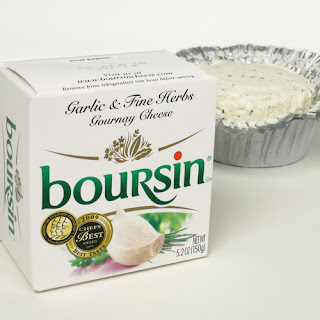 Lower the heat and add the Boursin and white wine. Allow the sauce to cook slowly while you mix, until the cheese has completely melted. Do not boil.